Asparagus are native to the Mediterranean. Originally from the basins of the rivers Tigris and Euphrates, it was consumed by the ancient Egyptians and Greeks. They were introduced in Europe by the Romans, during the period of occupation. Its medicinal properties were known even then. 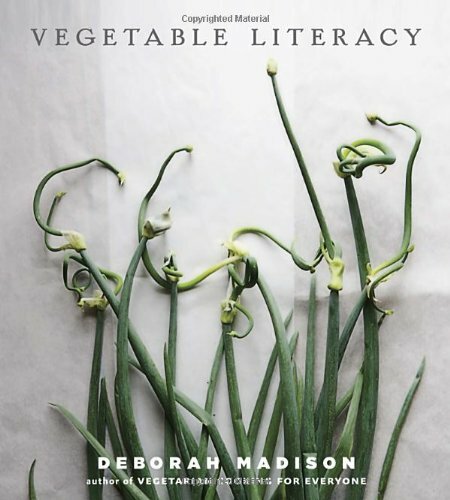 From the eighteenth century, they became the favorite vegetable of the bourgeoisie. 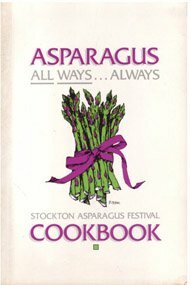 Until the nineteenth century, only green asparagus were consumed, and thereafter the two varieties (green and white). It is the only common vegetable that grows on roadsides and on the rail tracks’ banks in many countries. Originally, people looked for this vegetable to make extraordinary omelets and to have with scrambled eggs. Asparagus belong to the Liliaceae family and grows in a shrub called asparagus plant. The main countries that produce them are Italy, France and Germany. They are made out of 90% of water, they are low in calories and high in fiber (which helps with intestinal transit). So they are advisable for diets. Vitamins: vitamin A (good for the sight, nails, hair) and vitamin C (needed in the formation of teeth and bones) and to a lesser extent B1, B2, B6, E.
It was originally cultivated for medicinal purposes as a natural remedy to cleanse the blood and for its diuretic properties, because of its high potassium content. It is ideal for fluid retention problems. It is good for the nervous system and strengthens the mind (vitamin B). However, it is not good for people suffering from gout, as it has a high content in uric acid. 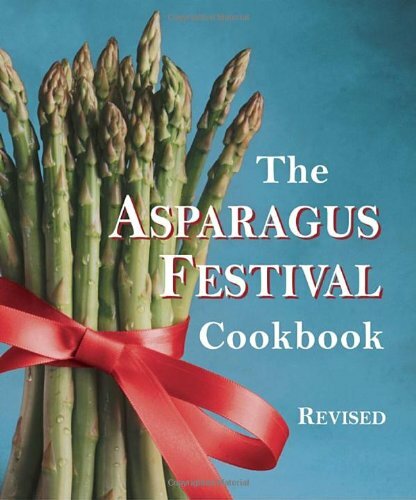 During the Renaissance era, asparagus was thought to be an aphrodisiac and was banned in most convents. 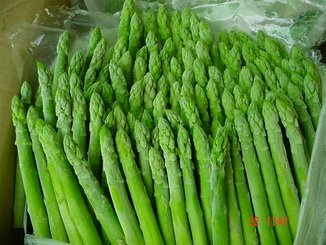 Varieties: There are three different varieties: white asparagus, asparagus and wild asparagus (also called green asparagus). 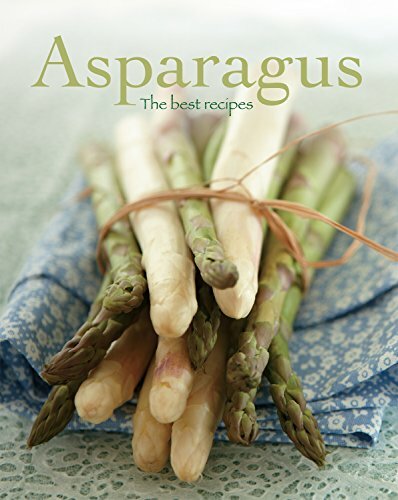 Best season: Asparagus is a vegetable that grows in the spring, during the months of April and May. Advice for purchase: When buying asparagus choose those with compact tips and stems that have a green color that is uniform throughout the length. Check the part where they are cut to determine if they are dry, only buying those that look fresh and hard. Thick or thin? Both are delicious. Contrary to what people say, fine or thin stems are not an indication that the asparagus are soft. The stems are thick when they remove the top from the ground’s surface and thin stems do not become thick when they mature. It is rather related to maturity and freshness. Conservation: Cook asparagus as soon as possible to ensure best flavor. They start to lose their flavor and smoothness immediately after harvesting. Reusing the water after boiled: once washed, asparagus can be put in boiling water, where they will cook; this water can be kept in the fridge and used again. The where they have been cooked takes a delicious flavor and is excellent due to the nutrients it contains. You can use it to make a soup or to cook vegetables. Cutting the base: Peeling asparagus can imply a lot of work, so many cooks prefer to break the hard part of the base. To use this method, hold the top of the asparagus from the middle and with the thumb and forefinger of your other hand, grasp the bottom of the asparagus. Bend each asparagus until it breaks into two parts. How to use the parts that are too hard: when you cut asparagus as explained above, asparagus break easily until the hard part is reached. These hard parts can be used for vegetable soups, if desired. They can be eaten raw, steamed, boiled, grilled, roasted or cooked in meals by incorporating it into casseroles or salads. Tall, thin pots are ideal for cooking asparagus, where the heads are steamed. The key to cooking asparagus is to cook them for a short time. The flavor of this vegetable goes well with many ingredients, but is also delicious just with olive oil, lemon juice, salt and pepper. When using asparagus in a salad, always wait until it’s time to serve to add the dressing, because the high acidity of most dressings turns them yellow. Add fresh chives, basil, thyme, and tarragon, to enhance the flavor of cooked asparagus. White: “bleached tops” are achieved by protecting them from light, covering them with soil until they are cut. Wild: (Asparagus acutifolius or Asparagus aphyllus): they are highly regarded amongst foragers because they have much more flavor. Currently they also grown as Asparagus officinalis and sold as such. Green versus white: the only difference between both types is the presence of light; if you uncover a white one and expose it to light, it will gain its green color. When I first tried growing asparagus, I didn't know that the stalks turn into the plant's branches if you don't cut them soon enough. I thought the very thin stalks would get fatter as they matured. Asparagus is one of our favorite veggies. I've always served them steamed, but with summer upon us, I was wondering about tossing them into a salad. Thanks for the great article. Yeah, they increase in height rather than width at some point, and start growing the pine-like branches. You could try serving them boiled (already cold), with a little mayo. Can you use it only with vegetables? It´s that I want to avoid meat as much as I can. I am on my way to becoming a vegetarian.